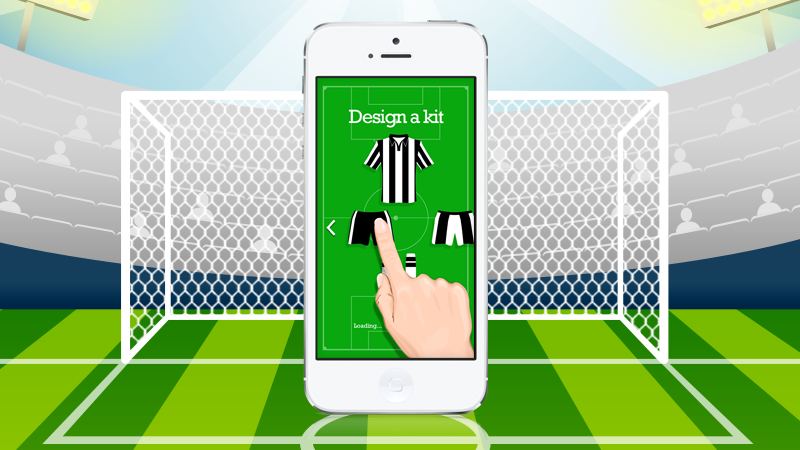 The first and only app that allows you to design your very own football kit! With DesignAKit, you can choose from a large variety of shirts, shorts & socks to create your own unique kits! Add colour, club crests and shapes to give your kits an extra personal touch. Want to be even more artistic with your kits? We have included an all-new paintbrush feature that allows you to make your own kit completely from scratch or even add to one of DesignAKit original templates. All your kits will be store in your own personal Kit Room. DesignAKit also allows you to submit your favourite kits online in the Global Kit Room for all fellow kit makers to see. By submitting you will also have a chance to win monthly prizes, including free football kits and tickets to live matches – just climb your way up the League Table by gaining the most likes! Don’t forget to share your kits on Facebook and Twitter to compare kits with your friends! It has been a pleasure working with the guys behind this app and we wish them the best of luck for the future.